Five Nights at Freddy's 4 was originally slated to come out on Halloween, an appropriate date given its creeptastic subject matter. But now it appears that the timing has changed, and that it will actually be invading your head space and hard drives a lot sooner than expected. The move forward was revealed by Five Nights creator Scott Cawthon to YouTuber Dawko in an email saying, "I'm going to release Five Nights at Freddy's 4 on August 8th for the 1-year anniversary of Fight Nights at Freddy's." 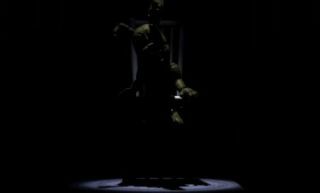 Lending credence to the change is a new Five Nights at Freddy's image posted on IndieDB (via Siliconera) entitled "8815"—08/08/2015—which is also now sitting at the front of the Scott Games website. We've reached out to Cawthon to confirm the change, but at this point it looks pretty solid. Halloween won't be completely ignored, however. Scott added in his email that he's going to "keep it special" with a free update he'll put out on October 31.